I came across this quote written on a scrap piece of paper. 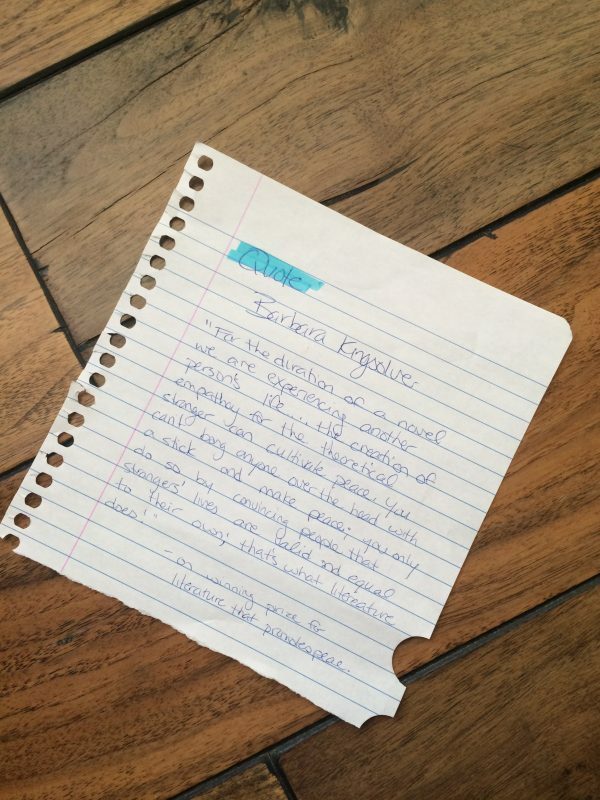 It was in a pile of random notes and scribblings in my desk drawer. I remember writing this one down and tearing it out of an old notebook months and months ago. 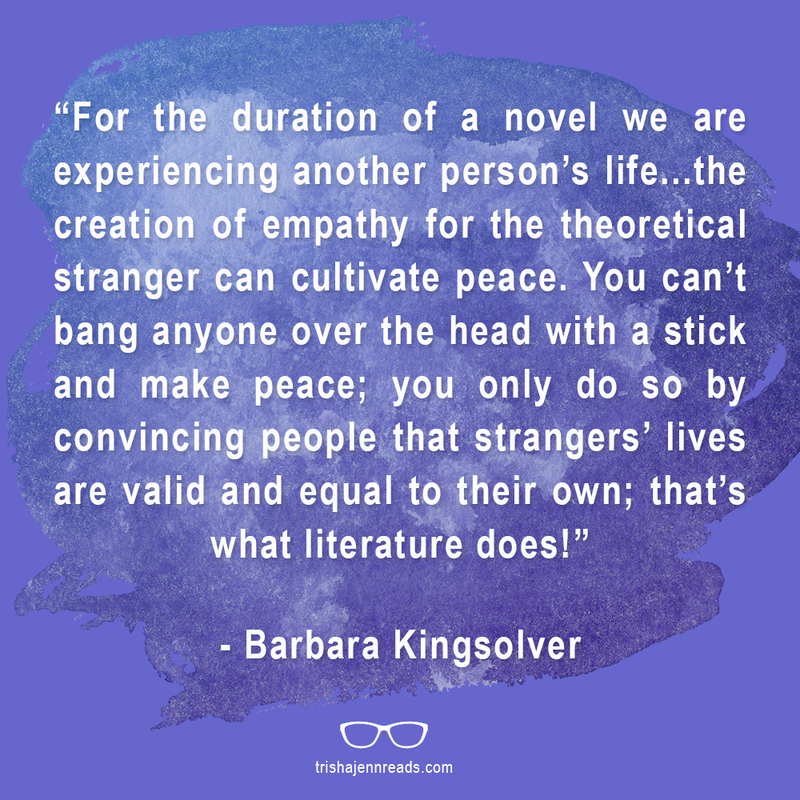 I read a novel by Barbara Kingsolver in high school and have more of her books on my TBR. The fact that she said this was what first grabbed my attention to the quote. Then I read the quote. And I loved it. I don’t remember where I found this. I don’t remember the circumstances of when this was said. But I’m going to leave it here for you. This quote is applicable to what I wrote about yesterday in my blog tour discussion of Saving Montgomery Sole and the importance of reading about people who are different than us. It’s applicable to what’s happening in our world today. We can’t fight hate with hate. We must fight it with love. And books are one of the strongest weapons we have. Reader friends, writer friends, let’s do this to the best of our abilities. We can make a difference with the books we choose to read, recommend, and write. … What do you mean we can’t bang everyone over the head with a stick and make peace? Heh, just kidding – I love that quote. Oooh! I’m not sure if you’ve already posted about this and I’m just an idiot and missed it, but do you have a list of diverse books you recommend? I have noticed that my reading tends to stay a little too narrow minded and I think I’m in the mindset to spice it up! I don’t have a list yet. But I’d like to build one. Check Twitter for suggestions. I think the hashtag is #readdiversebooks or #diversereads or something. There is a huge movement right now. Let’s build a list as a community! !